Gagnez jusqu'à 1,13 $US avec Kinguin Mafia! En savoir plus! Il nécessite une adresse IP russe pour pouvoir activer ce jeu! 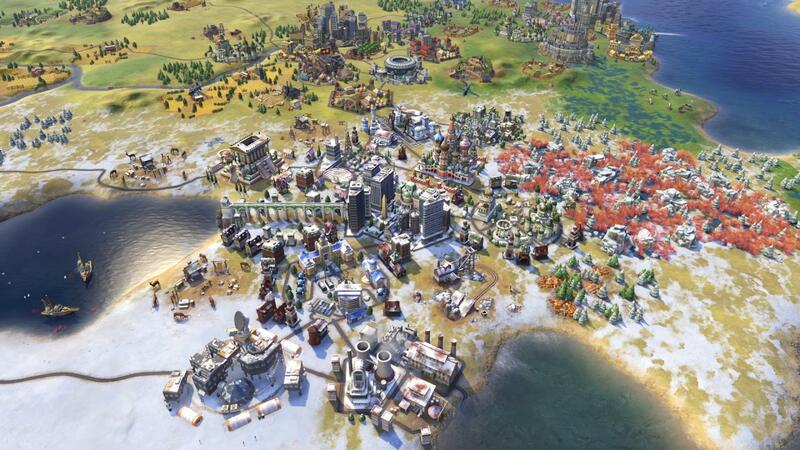 Cet article nécessite le jeu de base Sid Meier's Civilization IV sur Steam pour fonctionner! With the new the Governor system, players are able to further customize and specialize their cities, as well as react to the new challenges of Dark Ages and Loyalty. Each of the seven unique governors has its own promotion tree and lends itself to different playstyles and strategies. GREAT AGES As your civilization ebbs and flows, and you reach milestone Historic Moments, you will move towards Dark Ages or Golden Ages, each providing specific challenges or bonuses based on your actions in game. Rise triumphantly from a Dark Age, and your next Golden Age will be even stronger – a Heroic Age. LOYALTY Cities now have individual Loyalty to your leadership – let it fall too low, and face the consequences of low yields, revolts, and the potential to lose your city if it declares its own independence. But one civilization’s loss can be your gain as you inspire Loyalty among cities throughout the map and further expand your borders. EMERGENCIES When a civilization grows too powerful, other civilizations can join a pact against the threatening civilization, and earn rewards, or penalties, when the Emergency ends. TIMELINE Review your civilization’s history at any time with the new Timeline feature, a visual journey through the Historic Moments that you encountered on your path to victory. 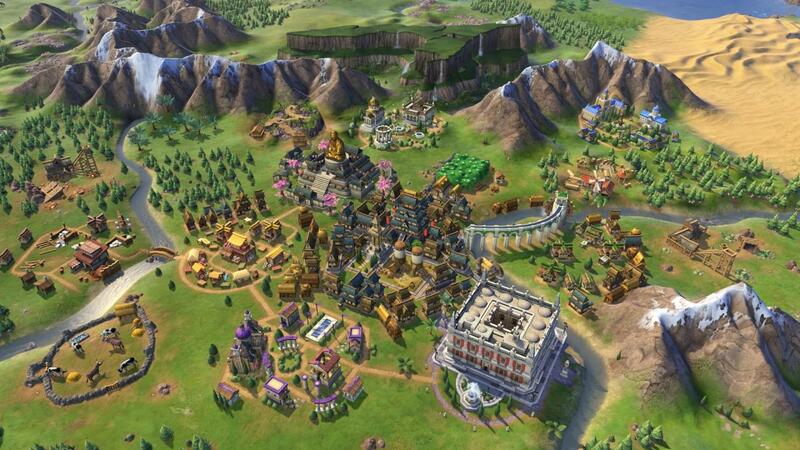 NEW LEADERS AND CIVS Nine new leaders and eight new civilizations are introduced. Each brings unique bonuses and gameplay, as well as a total of eight unique units, two unique buildings, four unique improvements, and two unique districts. 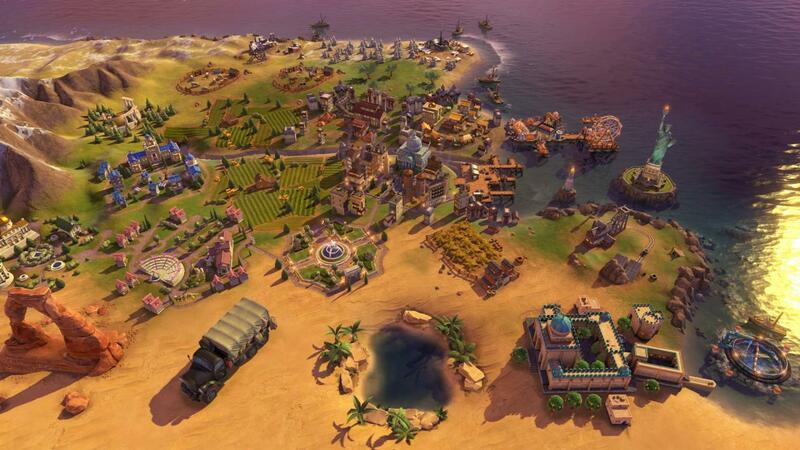 NEW GLOBAL CONTENT Eight new world wonders, seven natural wonders, four new units, two new improvements, two new districts, fourteen new buildings, and three new resources have been added. IMPROVED GAMEPLAY SYSTEMS The Government system has been enhanced with new Policies, including Dark Age Policies, new hidden leader Agendas, new Casus Belli, and additional improvements to existing systems. C'est un produit russe! Un VPN doit être utilisé pour activer la clé! 1. Allez sur le site : http://store.steampowered.com/ et téléchargez le client Steam. 3. Installez and démarrez l'application, connectez-vous avec votre nom de compte et votre mot de passe (créez-en un si vous n'en avez pas).